Harry is one of my primary mentors. and the many hours I spend to share the writing of others. When I was little, I loved to tear things apart to see how they worked. Sometimes I could never get them back together the way they were, but I usually figured out how they work. As I grew older my love to see how things ticked grew stronger. 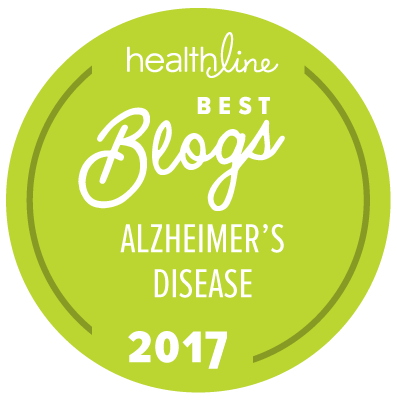 When I was diagnosed with Alzheimer’s my interest grew into trying to figure out how we could live with Alzheimer’s and still live a productive life. I had many failures, but the solutions started to form in my head. I sought the reasons why I was having a bad day and found ways to help illuminate them. I tried so many things and failed but never gave it a thought to quit trying. After 14 years I found inner peace but my thirst for knowledge has not been quenched. I need to find ways to teach others how to find the happiness I did. I’ve been busy this week, not raising dementia awareness but doing things for myself. I researched so many bird feeders that I would love to build for my flower beds. This year I will build one to prevent the squirrels from robbing them. I drew up plans for a pergola with a swinging bench, but I saw a nifty swinging chair that I may build instead of the bench. Either way, that pergola would look nice beside my holly tree. I got the itch to start seeds indoors and sit and watch them grow. I say this every year but never seem to get around to do it. This may be the year. I have dementia but I also have so many dreams. I live my life following the seven pillars of Sente-Mente ®. One of the key aspects of this project is the importance of understanding “behavioral disorders” as forms of language. When some of the thought functions “turn off” the person searches for other ways to communicate. – an emotional need that they are unable express. When the person you are caring for shows behavioral problems, they may be trying to tell you something. Learn this new language to improve the care you provide. I need to laugh when someone tells me they know what I am going through. You only see and hear what I tell you. There is no cookie cutter image of someone living with dementia, everyone of us is different. You see me not as someone living with Alzheimer’s because, that is the image I want you see. You can’t climb into my head to see how I feel or if I have any other troubling problems, so you need to use other visual methods to check on my wellbeing. Try talking to me if you suspect a problem knowing I may not want to let you know. Observe a difference in eating or sleeping which could point to a problem. Most important, take notice of my emotional state and learn to read my body language. Remember you don’t know me, only the person I allow you to see. Don’t be satisfied with the person you see, they may be hiding a problem. Staying active is the key to living an enjoyable life with dementia, not just staying busy. When you are active, you are doing things you enjoy. When you are busy, you may be doing things others want you to do. Many think we need to be kept busy to stay healthy, but that may not be the case. Going through the motions is not the same as being engaged in what you are doing. Watching the clouds is active because you are using your mind. but some may think if they see you sitting in a chair and gazing outside, they believe you are in a fog so they try to find something for you to do. I don’t need to be keep busy to live a happy life with dementia. I just need to stay active. Nor can we only post the dark side of dementia or constantly complain about the bad cards that dementia dealt us. I believe in posting positive thoughts to give others HOPE and get over the little bumps in the road, because as you progress, they do get bigger and you need to learn how to deal with these bumps. I try to stay with my reality and how I am living with dementia. I will always tell you to never give up although too many times, I stood on the edge and relied on others to pull me back. I feel bad when I post the horrors we go through and it affects someone because the person they are caring for, has the same horrors. Usually we support each other to understand the horrors and learn what is not in the book. I pray that the day comes when we never have to write about dementia and we live in a World Without Dementia. Have you ever notice how some people can get stuck in the snow, and laugh about it? These same people go through life with a smile no matter how hard the bump is in the road. They are teaching us a lesson about life that we often ignore. We would rather complain about a problem then find a solution to it. We could learn some much about life, just watching someone living with dementia. They are dealing with a terminal disease, often with a smile on their face. We try to fix them or try to prove they are not real but may be unwilling to learn from them. I don’t know if people will learn from us or are even willing to learn, I just know what ever bump we run across, we will get over it. Photo is of Harry’s craft project finished 12 Feb 2018. * Admin issues: SHARE dementia awareness thru buttons below. Feel free to leave your thoughts in the form of comments, but please filter your comments with truthful loving kindness to all concerned. If interested in receiving notice of future blog postings, subscriptions are available through a “follow” button in the upper left corner (MS Explorer) or lower right (Safari, Mozilla Firefox and Chrome). If there is an advertisement below, I have no control over what is shown. Copyright exclusively by Harry Urban © 2018-02/07 — but font changes are mostly added by me in order to easily find things i want to share in other places. Tags are: advocacy, alzheimers, dementia, Harry Urban.